Today I am going to share the method to root without pc. Most of us have heard about Android rooting smartphones or phones. Even if the answer is negative or positive, it won’t matter, because by the time you finish reading this article, you would get well versed with android rooting. Developers employ various tricks from their sleeve to root android phones without computer. But before you get to know on how to root android without PC, you have to define what android rooting is and how much effective it can be. Rooting is a procedure where one gets full access to the Android OS installed in their Smartphone or Tab. Read More about Rooting and its advantages and disavantages. A framaroot is a normal one click app which can root all kinds of android devices or phones and that too without the use of computers. This particular app was basically developed by Alephzain who was from the XDA forums. With just a single click of this particular app, one could install SU binary and Superuser easily on the smartphone. Framaroot currently supports smartphones who have Android version from 2 to 4.2. This is the fastest and easiest method to root without computer. All you have to do is just simply download the Framaroot app and then copy the downloaded file into the smartphone or device through the SD. STEP 2: Now in case you have downloaded the file to your computer, then you need to copy the APK file into the smartphone memory. In case if you have downloaded into the phone, make sure to move it to a specific folder. STEP 3: Once that is done, then you need to install the Framaroot from the given apk file. STEP 4: Here you need to select the ‘Install Superuser’ option which is present in the Framaroot. STEP 5: Then you can select any of the given exploits which would appear in the applications. STEP 6: Now you may have to wait and in case you see this message “Success, SU binary and Superuser installed”, it means that your rooted app is successfully installed and you would have to reboot the system in order to use it. But if you get a failed message, then there is another exploit method to root android without computer. 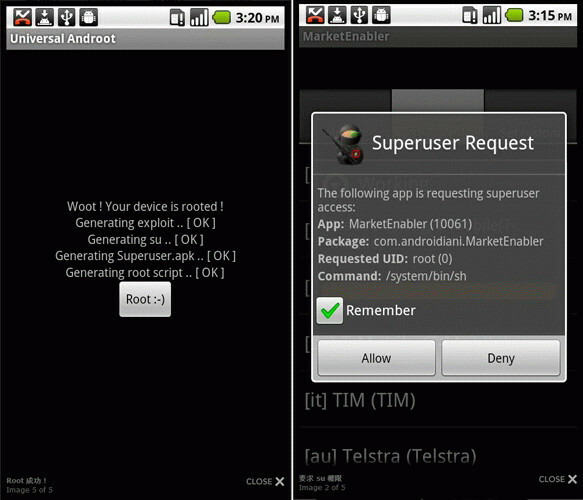 There are various ways to root android without computer but the regular methods can be quite complicated. Androot is simple app that could easily help in rooting the Android phone with the simple downloading and installing without the use of the PC. STEP 1: First go to the Settings option of your Android Device and selects the Application option. Here you need to click the check box for Unknown source and save it. STEP 3: Once it is success, then you need to launch the app into your cell phone and click on the Root option. You must make sure that you select the right version of the Android cell phone. STEP 4: Your Android phone is now successfully Rooted. Root Checker Basic App to check if your phone or Tab is rooted or Not. Tell us if you’ve successfully rooted your device using above method with the device name in the comments below. Do Subscribe us for more such How to Tech Guides on Android, iOS, Windows, Mac and Linux below or Connect with us to stay updated for more on Facebook, Google+ and Twitter. I tried this method with my Pantech Vega no 6. Model IM-A860S and it worked like a charm (though it wasn’t in the list there). The phone was rooted in a few minutes. I would appreciate the developer of this tool.